The restaurant felt cold, there was a blast of cold air every time the door opened. The food arrived very quickly, but almost too quickly, it obviously wasn't cooked to order. The food was OK, but pretty tasteless and didn't live up to the menu description. The food wasn't hot enough and in the cold restaurant our meals were cold by the time we finished them. Overall it was very disappointing and we wouldn't be in a rush to go back. On a positive note, the staff were very good. We had the pre theatre 3 course menu. The food was excellent. We were able to have one of the starter specials as one of the choices. The staff were polite and served the food in time without rushing us. The atmosphere mark was low as I was cold. There was a draught from the kitchen door being open. The leather seating was well worn and could do with replacing. Food excellent, but felt we were overly encouraged to leave once we decided against having anything off the sweet menu!? Lovely food at a realistic price and great service. Booked In for a mother’s day meal. Unfortunately when we arrived , half the drinks menu appeared to be missing and menu was limited for vegetarians due to running out of food. Some food was bland ,and portion of vegetables was small for the number of people. Additionally 30 minutes between a started and main seems extortionate for a half empty restaurant. Normally I enjoy visits to bistro jacques but this was very disappointing ! Fantastic food and wonderful attentive service can't wait to go back! Just the best enough said. My favourite restaurant. Even my fussy daughter enjoyed the Mother's Day menu! I love the simple fact that the food is tasty, when so much food available day to day is bland. The staff are exceptionally friendly, and the surrounding are comfortable and engaging. The only thing I would say is that the last two times I've been, they've forgotten my potatoes dauphanoise but overall I must give Jacques' Bistro 5 stars. 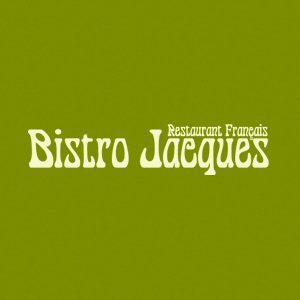 Whenever we come to Bistro Jacques we are always extremely happy with the food ,service and go away completely satisfied. A great dining experience that all the family thoroughly enjoyed on Mother’s Day. Pre theatre meal, very enjoyable. Excellent food as always, and service friendly and welcoming. Best dining experience in Shrewsbury. We chose the pre-theatre menu, so the choice provided and the food amount was just right for us to be able to fully enjoy 3 courses. The staff were friendly and very prompt and efficient...made for the start of a very good enjoyable evening. Enjoyed a superb pre-theatre lunch. My friend was so impressed with BJ that she made a booking for a Mothers day lunch next Sunday. Lovely food, generous portions. Excellent service and very reasonably priced. Loved it. Visited with disabled friend. Staff made  so much effort to make sure we were given table with space and cushions for comfort. Delicious meal as always. Love the pre theatre menu. Excellent friendly staff that make you feel very welcomed and looked after.